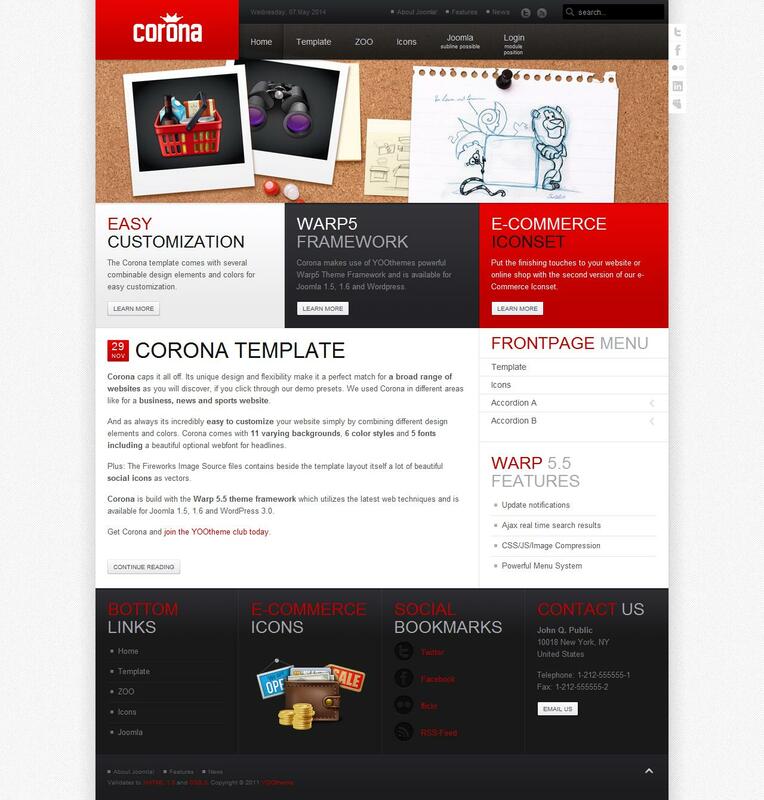 YT Corona - another stylish template from the studio YooTheme for sites running CMS Joomla. The original design of the template is perfect for creating sites of any of the functional structure and complexity. Proprietary platform Warp template adds adaptive functions to support mobile devices, fast download speed and excellent optimization. Flexible modular design includes a full nablor elements for optimal placement of all blocks. The presence of additional extensions Developer greatly increases the potential and possibilities of the template.